Swagbucks is a get-paid-to site. 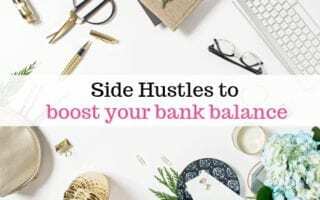 As an online money making hustle, this has been one of my best earners. Last year I was able to buy all my Christmas presents using Amazon vouchers I earned from Swagbucks alone- and I only started using it at the end of July! 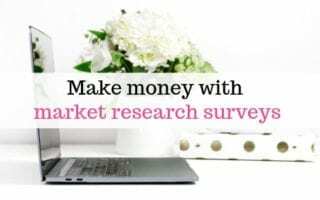 I like it because you can make money even if you don’t do surveys. You can sign up to Swagbucks using your email address. I’ll be honest, it can take a bit of getting used to; I signed up a long time ago, and struggled to make anything because I just didn’t quite get it. But I saw loads of people doing well with it, so thought I’d give it another go, went back to it in July last year and managed to get my head around it. From then I started making much more, and once you know what you’re doing it becomes much easier! This post is to give a bit of a guide because I know when you first sign up it can look a bit overwhelming. With Swagbucks your aim is to earn swagbucks (SBs), which you can exchange for a variety of gift cards, Mastercards, or a PayPal payment. I usually go for Amazon giftcards, because you can use them to buy almost anything and they’re slightly better value than cashing to PayPal. Here are the ways you can earn on Swagbucks. It’s worth trying to reach your daily goal each day as you get a bonus (usually around 10% of the goal for doing so. You also get a second goal that’s higher, but the first is more important. You get a streak bonus for completing your goal. 7 days in a row gets you 25sb, 14 gets you 100, 21 gets you 200 sb and the whole month (called monthly master) gets you a bonus 300sb. These bonus sb are added to your balance at the beginning of the following month. There are 7 Video apps you can use to earn SB on Andriod, or 5 if you’re on iOS. You can earn 10sb for each app. That’s 70 sb a day for android, 50 for apple. Just running the apps alone will get you enough points to cash out up to £15 a month – for very little effort. Find the Apps in your App Store by searching for ‘Prodege’. iOS apps are – MovieClips, Sportly, EntertaiNow, Lifestylz and Indy Music. Android apps are the above plus SBTV and Swagbucks Watch. Each app contains lots of categories and lists of videos. I recommend selecting the ‘Short Clips’ list, as it will take less time to complete. If you have the option to ‘favourite’ a video, choose the shortest you can see, add it to your favourites and just play that -it will repeat automatically. There are lots of offers you can complete that give you SB, usually for signing up to something or taking a free trial. Find these under ‘Discover’ on the menu. Always make sure you completely understand the terms before signing up to anything and always remember to set an alarm to remind you to cancel any trials you’ve put payment details in to. If you go to the Watch section on the website, there are more videos you can watch to earn Sbs, you can just click to start one and as long your window stays open and uncovered you can just leave it going. Same with the Ncraves – just click and let them run. There are 3 games to play and you can earn up to 10sb on each. Swagasuarus Run, Swag Jump and Swag memory. They’re really simple click games, you don’t even have to win to get the points, it’s just random, so you can just let your dinosaur fall of the cliff if you like. Just try every so often until you get some sb. I only really try the games if I need more points to reach my daily goal. It’s worth using Swagbucks for your normal searching because you can win SB. Just search anything in the Search box and if you win any it will pop up with a little congratulations message and a claim button. You can win anything between 3 and 100 SB. Swagbucks offer cashback in the form of SB if you click through to retailers via Swagbucks Shop section, so if you’re buying something online it’s worth checking what cashback is available. I usually find that Quidco or Topcashback have a better rate, (see my cashback post here), but sometimes Swagbucks comes up better. Swago is a bonus game run by Swagbucks usually twice a month. It’s a grid with different tasks in each square and you need to tick off as many as possible to earn bonus SB. Tasks are things you do on Swagbucks anyway, such as ‘complete a gold survey’ or ‘complete your to do list’. When you’ve completed as many squares as you think you can, you submit your board. There is also a smaller versions called shopping Swago where all you need to do is click through to various shops; completing this board gets you 50 SB. There are loads of options to choose from to cash out your SBs. You can get paid into PayPal, get a pre-paid Mastercard or choose from lots of gift cards including Amazon, Argos, New Look, M&S and more. Just click on your Swagbucks total (right hand corner) the click redeem, then you can browse through the choices. Once you’ve redeemed your reward it can take a few days to receive payment. I know that there’s a lot of information there, don’t feel like you have to remember it all at once, and you definitely don’t have to do all those things, I just wanted to show you all the options! If you need any extra help with it just let me know and I’ll always try and help out if I can. I’m also in an amazing facebook group with loads of helpful tips, advice and support so if you’d like to join, just let me know and I can point you to it! Already a Swagbucks pro and looking for another good earner? Why not check out my guide to earning with InstaGC?